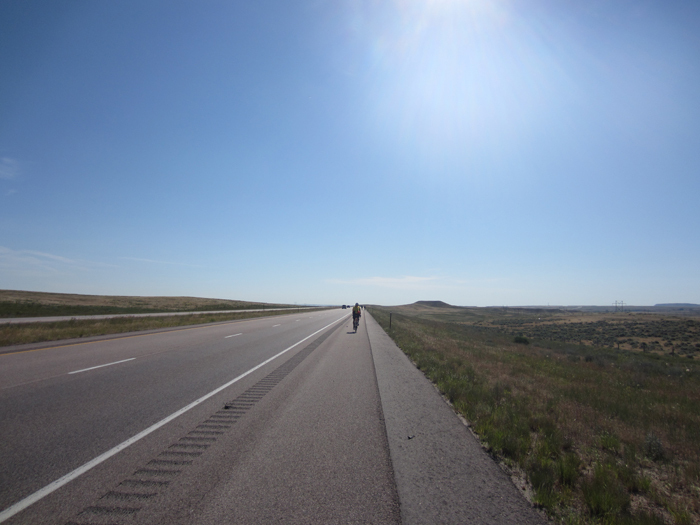 On the fourth day of my LA to Boston ride we were doing 117 miles on I10 across the Mojave desert. As the temperature soared over 100 degrees I realized that I was going to pass out. I managed to hitch a ride to the ER. When I arrived at the hospital I had cooled off in the air conditioned car and rehydrated. The ER doctor asks why I have come to the hospital. I am feeling fine at this point and am quite fit. “Well, I am from Michigan and we have had a very long and cold winter and I have been training in 20 and 30 degree weather. We did 101 miles yesterday and the temperature was over 100 and today I was trying to do 117 miles and when the temperature got over 100 I felt like I was going to pass out”. He stares at me for a very long time and he finally asks me “Have you graduated from high school”? Another long silence as I ponder the fact that I have so stunned this doctor that he did not ask me about my health. Shouldn’t he have asked if I was having chest pain or something like that? Before I answer he says “What did you expect to happen”? In reflection I suppose he did have a point. Which brings me to today’s ride. 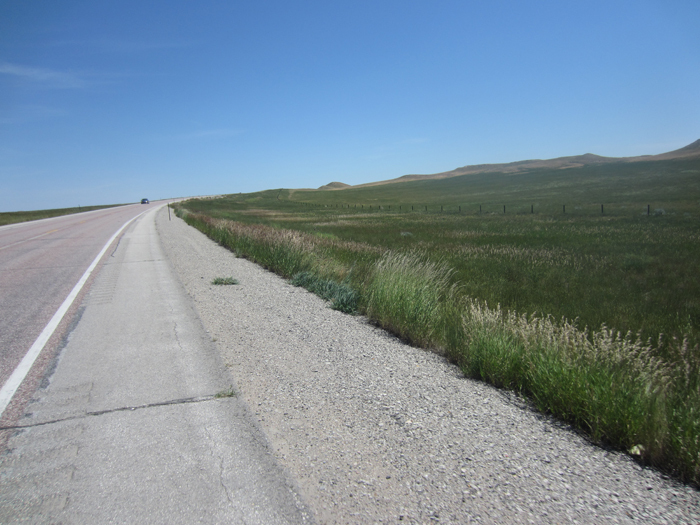 106 miles from Caspar Wyoming with the temperature at the finish at 105 in the shade. Caspar is a mile high and I have not had time to acclimate. This past week we vacationed with our 4 granddaughters ages 3 and under and a virus went through the family. I was violently sick Tuesday night and have not felt great since. Last night I woke up feeling nauseous. The rest of the riders have been on the road for three weeks and are seriously fit. Sebastion, a 22 year old from Germany is out of category fast. So what do I do? Those who know me well don't have to be told. I jump in with the fastest group. We scream along averaging 22.5 mph until the 71 mile mark when kaboom. I'm nauseous and my legs start to cramp to the point I can't pedal. Even my thumps cramped. I coast into the SAG at mile 86 which is a covered picnic table. My riding companions are just leaving. One of the staff says to a driver "put Al's bike on the truck, he shouldn't ride. OK by you Al"? What little common sense I can muster says "OK I'm done for the day". What did I expect to happen? Well there was a chance I could do it, wasn't there? Lusk has a population 1,567. The town of Lusk is known for being the county seat of the least populated county in the least populated state in the US. In comparison, the county is approximately twice the size of the state of Rhode Island, with only 1/500 of the population. First SAG. Riders start in stages. Fastest riders last so the SAGS are congested early. UGH Riding on I25. Expressway riding is the pits. 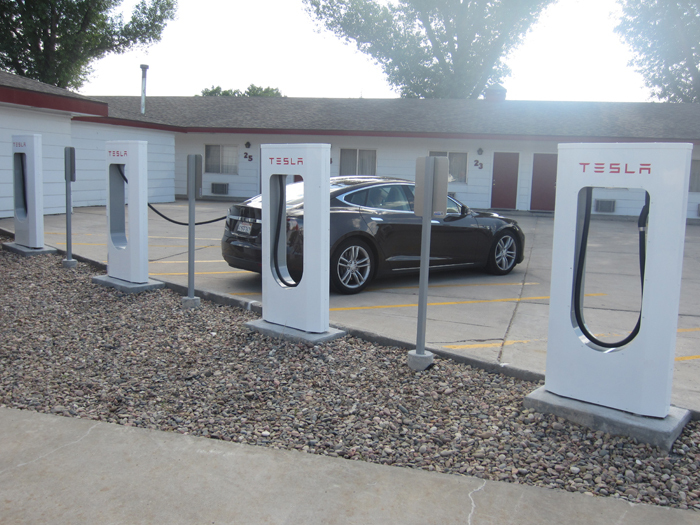 A Tesela station in Lusk, WY? I just finished XC2014 with CrossRoads and heard from CR staffer Tom Dunn you are an Ann Arbor guy who did it a few years back. I ran into Thien Nguyen, an old riding buddy, and he asked if you and I knew each other. Thien told me about this current trip, so thought I'd write to say Good Luck. 2014 is the year of headwinds for the West-to-East cyclist. Hope the pies and hot dogs are great though! We'll have to compare notes as Zou Zous some time. Cheers! Staying alive is good; riding with fast group at this time, maybe not. Where did common sense go? It must be frozen in the Michigan tundra. For goodness sake don't try to brake any records. You could probably use a Tesela station right about now. Oh Dad, I don't expect anything different, but that doesn't make me think you are any less crazy. We missed you at the end of camp, but I'm looking forward to hearing about the rest of your adventures. Miss you and love you, stay safe! I read about your first day after returning from a little weekend cycling excursion. I can’t compete with your distance, elevation or temperature (it is winter here) but I have you beat for low population destinations. We cycled 50 km on Saturday to Walcha Road, population 20, and stayed at the Walcha Road Hotel, a country pub known for good food. Then on Sunday morning we cycled home. Walcha Road, strangely, is the name of the village. Good luck with your trip and take care! We made it back safe from camp. Good luck Dad. It looks like you are being a little smarter this time. Keep it up. Well that sounds like a fun day? I am more impressed that you stopped than that you finished as much as you did. Love and miss you. Anna Bo.